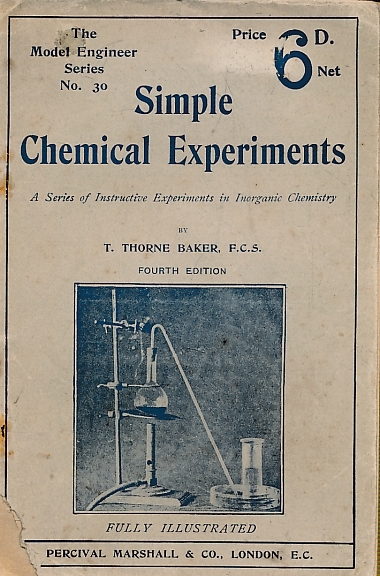 Barter Books : Baker, T Thorne : Simple Chemical Experiments. The Model Engineer Series No. 30. London. : Percival Marshall & Co.
190 x 130 mm (7 x 5 inches) - 72pp. G: in Good condition without dust jacket as issued. Cover rubbed and soiled. Stapes rusted.